I like to shop at small businesses. I feel it's important to support small business as they are peoples livelihoods. Lets be honest, J Crew isn't going to miss me if I don't buy from them in a year (although I do love you J Crew!) but buying from a small business makes a huge difference. I am even more excited when I find out where / how my purchase was made. 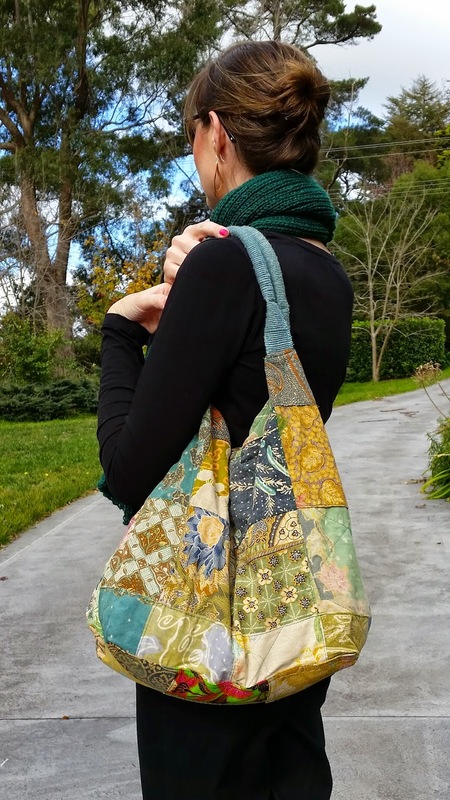 This gorgeous tote bag is from a small business in Bowral, NSW Australia. The owner travels to buy items directly from the Artisans who make them - I love ethically sourced things! 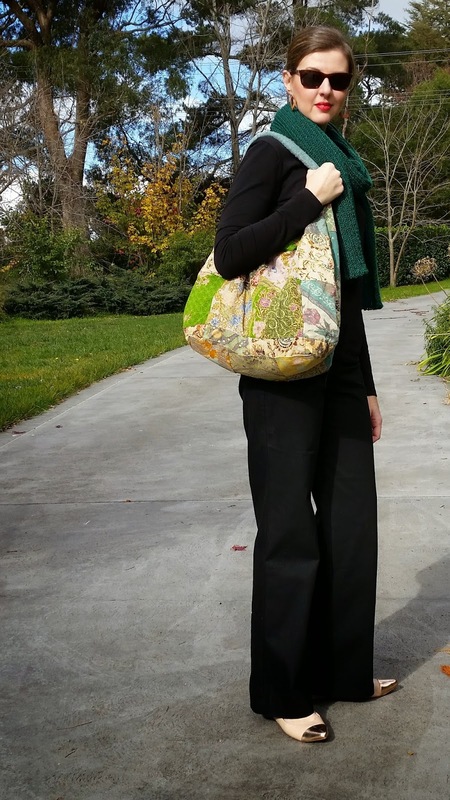 This bag is hand made by villagers in Bali and each one is a one of a kind. The purchase of these bags supports the livelihoods of these lovely villagers and their families. They are made from cotton Batik fabric and are just beautiful. What's better than being ethically sourced / fair trade and beautiful? Being huge! 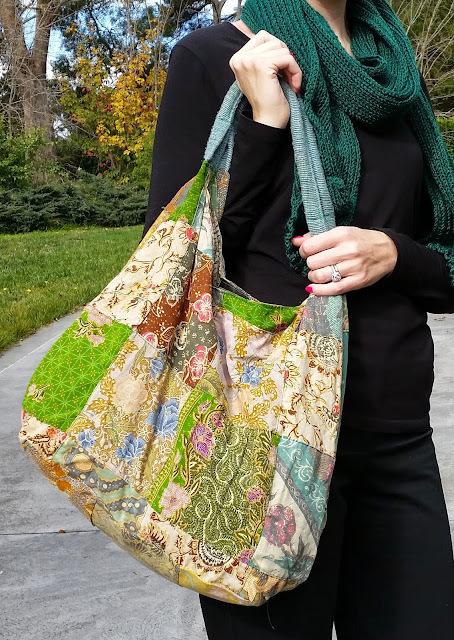 I have the sides folded in on the bag in these photos but it is big enough to be an overnight bag. In fact, this was the bag I took to the hospital when my second daughter was born. And for all the Mums out there, you know much stuff we take with us!!! I use this bag as a handbag - it dresses up my tendency to wear all black! 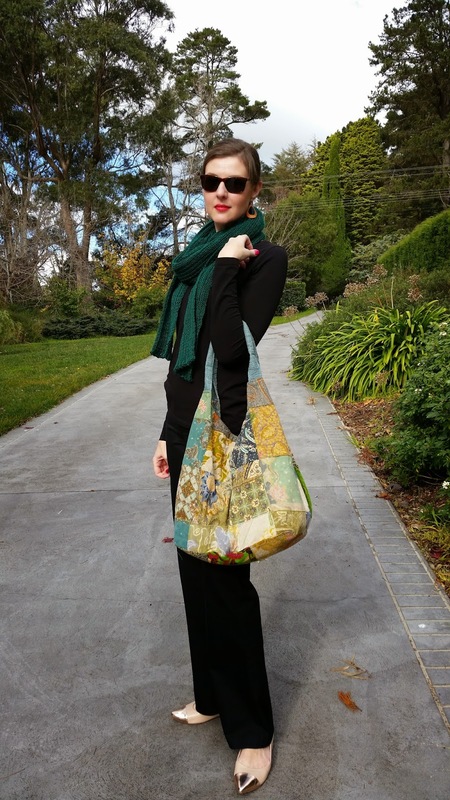 I have also used it as my nappy bag (diaper bag for those who don't speak Australian!). It's fabulous! The great news is that they will ship these bags to anywhere in the world! Just contact Eastern Living Homewares via Facebook : www.facebook.com/EasternLivingHomewares and they will quote you postage based on where you live. Did I mention that it is only $24.95?! Amazing! Everyone needs one of these bags - they're the best! The fabrics are so beautiful. Hubs: Why do you carry your bag like that?? Me: Everyone carries their bag like that. Just take the picture! I love that each bag is one of a kind! And they hold SO much stuff! I can't agree more re your philosophy of supporting small (and or local) businesses. Like you said, the big brands are fabulous but aren't really going to "miss" us if we buy elsewhere, whereas our patronage of smaller companies means a great deal to them and really does make a difference. That's such a fun bag and your comment re what your husband said about how you're holding your bag cracked me up! Thank you so much Beth! I'd love to see everyone make an effort to buy something, even if it's small, from a small business once a month. What a huge difference it would make! Haha - the dialogue between Hubs & I whilst he's taking photos for me is the reason I'm pulling faces in 99% of the shots. Why do you think most of them are headless??! !